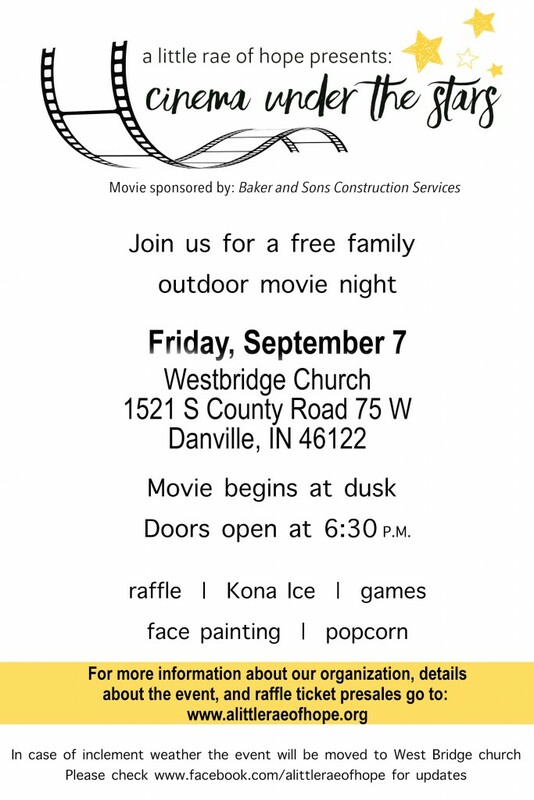 We are excited to announce that we are hosting a free family movie night on Friday, September 7th at Westbridge Church in Danville. ***Please note this is our rain location and is different from original announcements. The movie will begin at dusk, doors will open at 6:30. We will have activities and raffle sales until the movie begins. Please join us to celebrate each of our a little rae of hope families. All money raised goes to purchase photographic gifts for the families to help them smile on days when it seems impossible to do so. A huge thank you to our main event sponsor: Baker and Sons Construction Services. Because of their generosity our event is fully funded! We are elated to team with them this year! Tickets are 1 for $1 or 6 for $5. Must be 18 to enter. Baskets noted with ** must be 21 to enter. 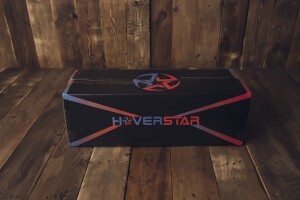 You do not need to be present to win however you *must* be able to pick up the items by September 15 in Danville, Greencastle, Lizton, or Brownsburg. 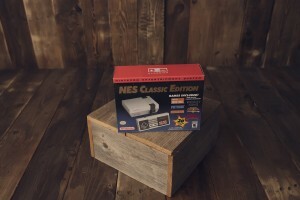 Advance raffle ticket sales are now closed. © 2014 a little rae of hope | A 501(c)(3) Charitable Organization | P.O. Box 82 Danville, IN 46122|ProPhoto5 WordPress Theme by NetRivet, Inc.